The other morning, I woke up at 7am. I had a nice breakfast of sausages, eggs, & toast; and washed it down with orange juice. Ten minutes after that, I robbed and killed a man for his teleportation gloves because I feared he was setting my team up for failure, and it seemed like a good idea to get vengeance. 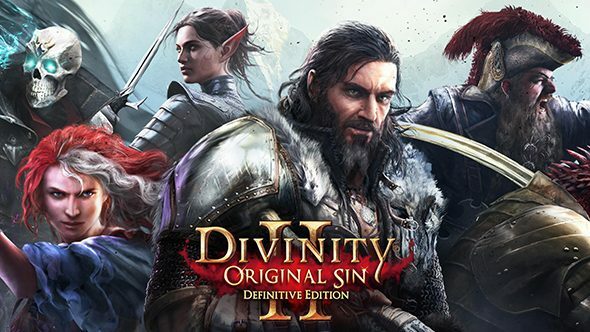 This is life in Divinity: Original Sin 2 – Definitive Edition. This game snuck up on me as I didn’t get the PC version last year. So I initially missed out what was a highly-rated RPG, which I knew would eventually come to consoles. While I played the first game some years ago, at that time I thought that Pillars of Eternity was a better game. This time around it looks as if D:OS2 is the game to watch. This game is what I really wanted Dungeons and Dragons: Sword Coast Legends to be, and Divinity: Original Sin 2 even improves on that game in so many ways. Let’s take a look. So, for anyone unfamiliar with this game, the story starts with you waking up aboard a strange ship, being fitted with a collar that restrains your ‘Source’ — the innate abilities of the people of this realm. Eventually the ship is wrecked and you are saved by a deity to become its chosen one. From there, you are deposited upon the island of Fort Joy and, upon meeting several companions, you must find a way to escape. Story-wise, while it may not be the most original plot in the world, the game gives players many choices on how to proceed. If you have ever played any of the original Baldur’s Gate games from years ago, it will become very familiar very quickly how to proceed. Quests can be approached a number of different ways, and (as expected), your decisions will change how things operate with regard to the outcome. The voice acting is done very well, and I would even warn against mashing buttons to get through some dialogue trees, because many will not repeat themselves. Also as a hint, if you want to solve a few early puzzles, pick up the Pet Pal perk on one of your characters. It will help you get through some situations — especially when you see pigs on fire. Surprisingly, the first two chapters of the game are very deep. Don’t think that you will breeze through Fort Joy in 2 or 3 hours, as there is a LOT to explore and do. As far as how this game handles on console, it may be a bit of a mixed bag. The controls may take a little getting used to when it comes to inventory management and character stats, but it is still very doable. It’s also easy to save and use the hot bar when needed. Without the existence of a sub-bar on which to put secondary skills, checking your hot bar before entering any encounter becomes a must. Graphically, the game looks great for an isometric dungeon crawl. This title manages to capture the atmosphere really well; whether you are on a sandy beach, a torture chamber full of bodies, or facing an ice dragon. To enhance the atmosphere, it would be nice if there was a day and night cycle to change things up a bit. There are times however, that the game will slow down when there is a lot on the screen, but it’s not game-breaking. In fact, if you have time, try reading the patch notes which discuss the improvements for the console version. Similar to the first game in the series, battles are done using a turn-based tactical system, as opposed to real time button-mashing; which also makes for great combo usage. If you are getting bombarded by an archer on a cliff top and you have the right tools, teleport him to the ground by an oil barrel and then set that sucker on fire! If there was one thing that I was disappointed about with this title, it is that the Game Master mode found on the PC hasn’t made it to the console version…yet. This mode has a hearty set of tools designed to allow players to create their own content to their heart’s desire. If you had a D&D campaign that you wanted to run, this made it possible. Still, unless some kind of update happens, we may not see it. There is, however, a multiplayer mode in which players can link up with each other to play, and it will be interesting to see how that works out.